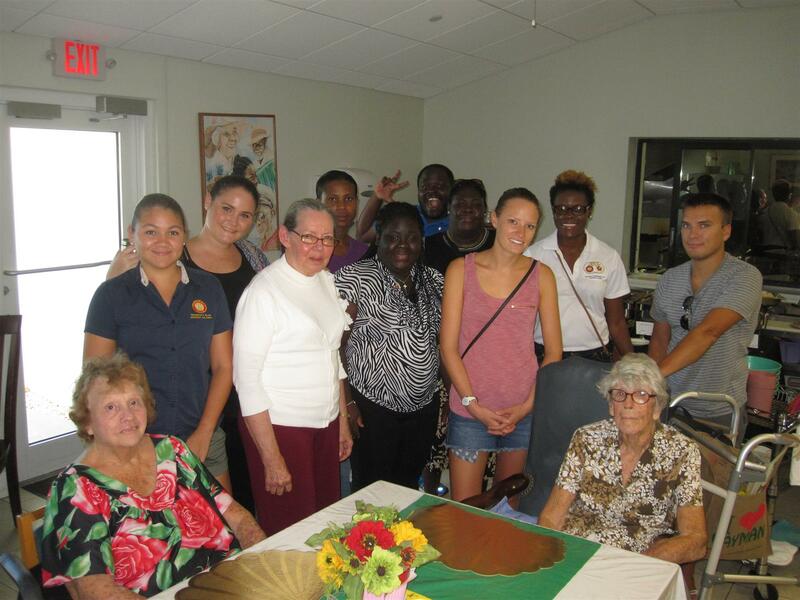 On 8 August, members and friends of Rotaract Blue paid a special visit to the residents of The Pines Retirement Home for their annual 'Feed the Elderly'. During the day, both Rotaractors and residents enjoyed a relaxing afternoon playing cards, sharing words of wisdom and chats about the good-old-days. Lunch was also sponsored by Mise en Place, one of resident’s favorite food vendors. Club President Alice Ramos said, “Visiting the Pines is such a humbling experience for us. But the biggest reward is the smiles we see on their faces each time." "This visit also reminded us of the significant role older persons play in our society. They are the living history which many of us take for granted." Encouraging public participation, Ms. Ramos urged the entire community to continue to honour and value older persons or simply lend a listening ear. Not only did the residents and caretakers enjoy the company of fresh new faces but Rotaractors also gained some valuable insight. The club expressed much thanks to Mise en Place and is looking forward to next year’s visit along with more projects for the elderly community.